Buying digital scrapbook paper for card making is not just a big money saver for you but also a big plus for everyone at home especially if you don't have much space to store all those beautiful scrapbooking paper. Surely your family don't want to see stack and stack of cardstocks all over the place or dining table. for gallery or expanded view. It is also so cumbersome and tiring hunting for that particular color or design when you need to make a card.I notice that when I start searching, I either got distracted or if I finally found what I need, I lost my thoughts and inspiration for that design idea. So here are a selection of digital downloads at prices that will not break your craft budget. These beauties can be downloaded once but print and use over and over again for many projects. Or for a project that needs to be repeated 10 or more times; example for wedding invitations, party invite or birth announcement cards. 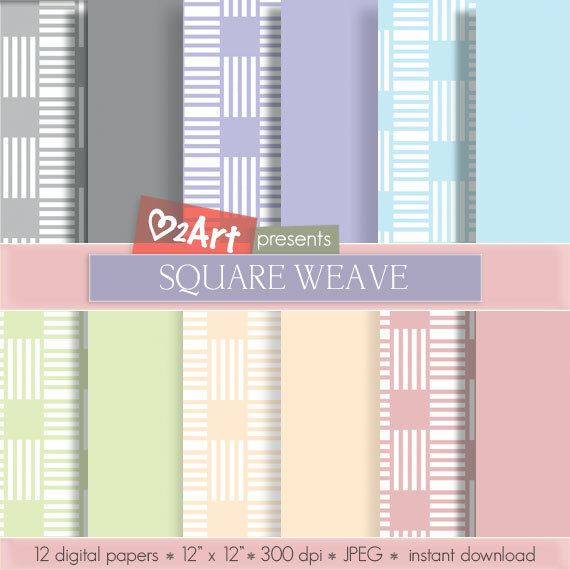 Square Weave is a pack of 12 digital scrapbook papers measuring 12" x 12" at 300 dpi in jpeg format. Digital download: No shipping involved. Boxed In is a set of paper design with rows and columns of marker inked square boxes with a dot being boxed inside each box in 12 bright vivid colours that matches your favourite marker colours. The paper is textured like someone drew all those boxes on a white painted concrete wall. 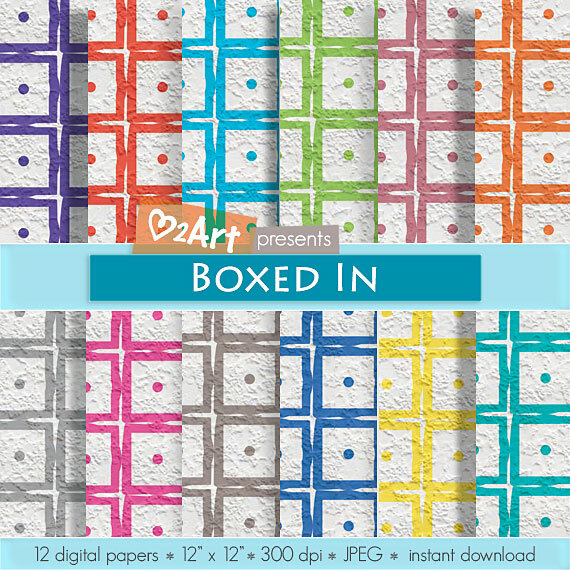 This is a pack of 12 digital scrapbook papers measuring 12" x 12" at 300 dpi in jpeg format. The above paper packs are handmade paper digitally created by myself. 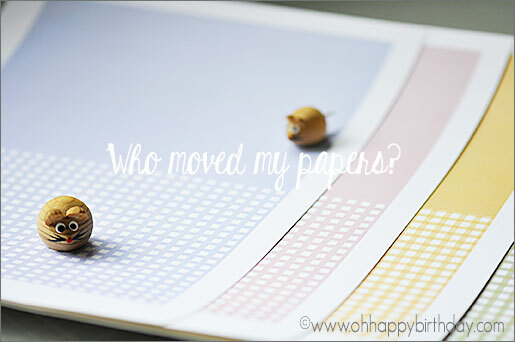 They have been tested and used on my own handmade cards and projects. They are great paper supply for all your creative endeavours; for example, scrapbooking, card-making, wedding invitations and favors, birthday greeting cards, party banners and other creative paper crafts. These are digital files so no shipping charges is incurred. Once payment is made, I will send all your orders to your email address. For Commercial Use : Handmade things to sell but not more than 250 nos. package and resell these digital files. sell these items altered or as is on your websites or other places. use these on Zazzle, Cafepress or other marketplaces. share these files with other people except those within your household.